Keskustelun 'Arctic Cat' on aloittanut käyttäjä Fudge, 17/1/17. Julkistus päivä on vissiin ens kuun 27...... ? Uus vuorimallisto ja lisää uusilla muoveilla olevia malleja, siis mitkä on turboissa ja 600rs mallissa. tämä ihan sumekon edustajan suusta kuultuna. 137" tai 141" pitkä 600 koneella ja uusilla katteilla oleva peli vois olla joskus sitten kiinnostuksen kohteena. Uutta 800 konettahan on odotettu jo vuosia ja varmaan se sieltä nyt lopultakin tulee. Toivottavasti on yhtä luja kuin tuo aiempi 800 kone. Nykyisessä laitteessa on 800cc moottori, mutta ainakin itse pärjäisin vallan hyvin 600 moottorillakin. Saanen ihmetellä miksi uutta konetta ku nykyinenki pelaa niin hienosti... Valaiskaapa jos tiiätte. Onko kenties kulutuksen vähentäminen vai tehojen lisääminen ollut tarkoitus? Once you go cat you never go back! Nykykelkkailijat haluaa aina jotain uutta vaikka vanha olis hyvä ja toimiva..
Arctic Cat made a big investment in their latest 600 C-TEC 2-stroke engine, built just down the road from us in St. Cloud, Minnesota. 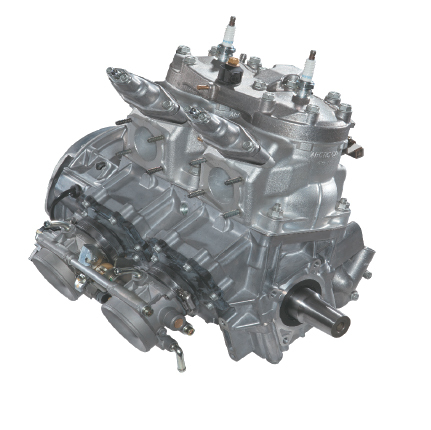 Traditional logic has always been to adapt that fueling technology to a larger displacement engine, like a new 800-class twin. 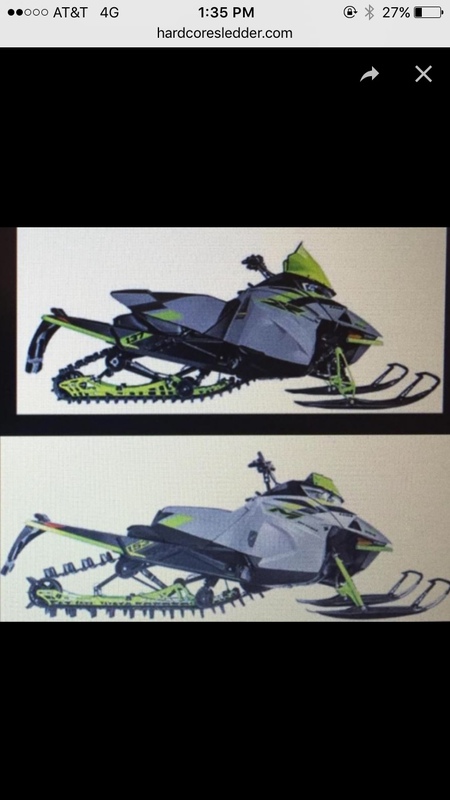 But, with the parts and pieces of the 600 already on the shelf and proven to be a solid performer, what about taking this design and making say a triple 900 out of it? Or, maybe even more crazy, how about taking half of the 600 and making a single-cylinder 300? Both ideas might seem kind of nutty at first, but when you sit back and think about it there are true benefits to both scenarios. Nobody currently offers a triple 2-stroke like we had 20 years ago. Their chassis platforms are able to house triple 4-strokes, so we know we have the real estate under the hood to fit a triple 2-stroke in there. Ski-Doo just came with a 850 twin, what better way to trump them than with a larger, more powerful 900. And if it is a triple, when we start to spin it at higher rpms we would get even better volumetric efficiency, meaning even more power potential in mod form. Would it be too heavy? More accurately, how much heavier would it be than the Rotax 850? And, how much more powerful would it be? How expensive would it be? All valid considerations, for sure. OK, we’ve all been there and done the triple 2-stroke thing, but in the name of commonality it would help keep total engine development costs down if such a project was in the works. Just like making it a 300cc single. Perfect engine for a smaller machine, figure 50-60 HP, maybe the elusive kid-sized sled, maybe just a lower-powered entry level sled. Maybe not likely, but entirely possible. It does make sense on many levels, so we would not be shocked to see either one of these potentials. 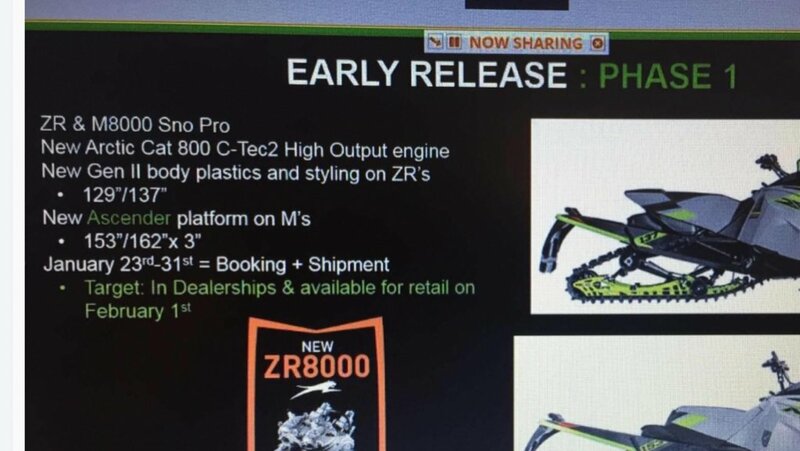 That said, right here right now we would still expect to see a 800-class replacement, a twin-cylinder 2-stroke, as the most likely next new engine from Arctic Cat. What about a different engine from Yamaha? We’ve already discussed the possibility of a joint project between Arctic Cat and Yamaha on a 2-stroke replacement for the Suzuki 800 2-stroke. 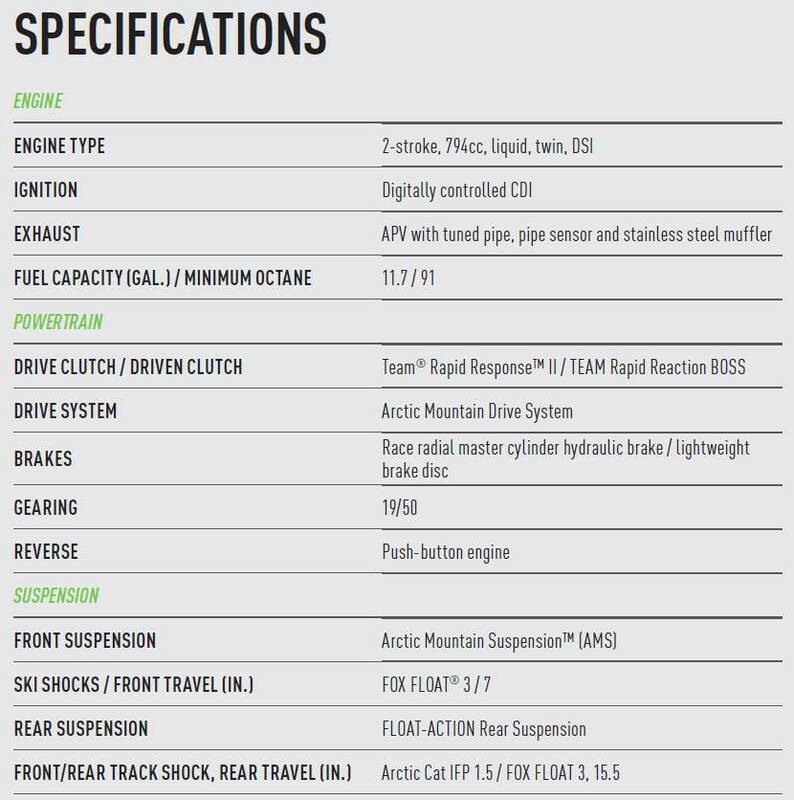 Arctic Cat currently uses the “Nytro” engine which is now the SR Viper engine, and they have just released the 3-cylinder turbo 998 in the Sidewinder/9000 Series models. One would have to assume they crammed a 4-cylinder Apex engine into a Procross chassis at some point in time a few years back, which would have ultimately led them to the current turbo project. With the Nytro engine already in use in the 7000-Series Cats and SR Viper models, there would be no need for the lesser Vector engine. Which leaves us with the Phazer 500cc 4-stroke twin, or a completely new engine. We would bet good money on the Phazer engine having already been fitted into a Procross chassis (or maybe even a smaller platform) at some point. Actually, a sled like that would probably work perfectly fine, so it would likely come down to cost. 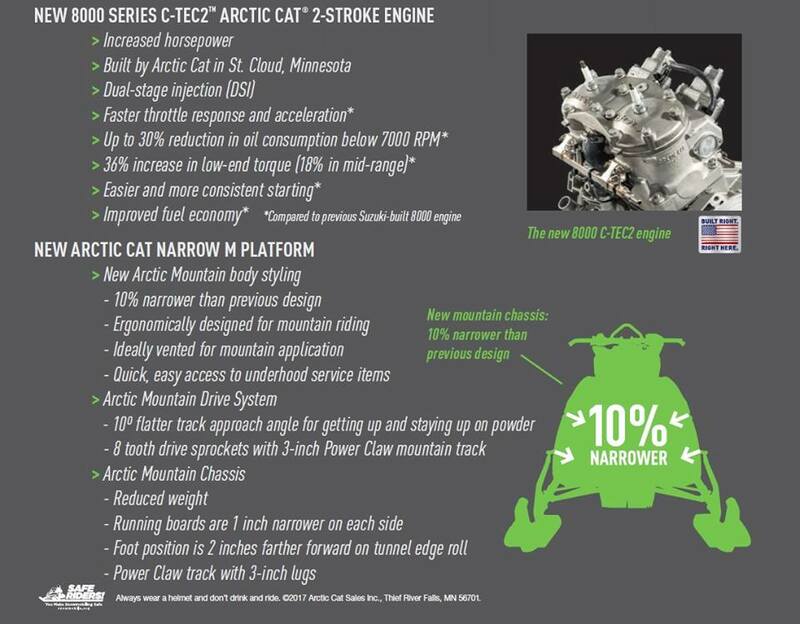 Arctic Cat instead went the route of their 700cc Kymco-built 4-stroke, so the Phazer engine was likely too expensive. Probably a good move, as the Phazer engine is pretty frantic making 80+ HP at only 500cc. The 3000-Series (Kymco 700) makes 60+ HP and is a good little motor, easy on fuel and super reliable from our own experience. Whether Arctic Cat gets to use another Yamaha engine might depend more on what the next move is from Yamaha, and what models they might want Arctic Cat to build. The waters get really muddy and murky when we start to look very deep in that direction. For now, the Sidewinder/9000 Series sleds are new and hot so let’s just go with it and ride that wave for now. Joko se alkais pikkuhiljaa olemaan uuden rungon aika? Mikä se oli tuon englanninkielisen jutun pointti?? Joku äijä spekuloi että 600:sta sais 300:sen poistamalla yhen sylinterin tai 900:sen lisäämällä yhen? No samallalailla vois vaikka tehä 800:sta 400:sen tai 1200:sen ja yamahan uudesta 998:sta vaikka kolme 333:sta..
Näyttävät saaneen tehtyä vihdoin uuden mosan ja keula alkas olla aika kapia jo vakiona 34.5" ! Sama keula ku 16 ja 17. 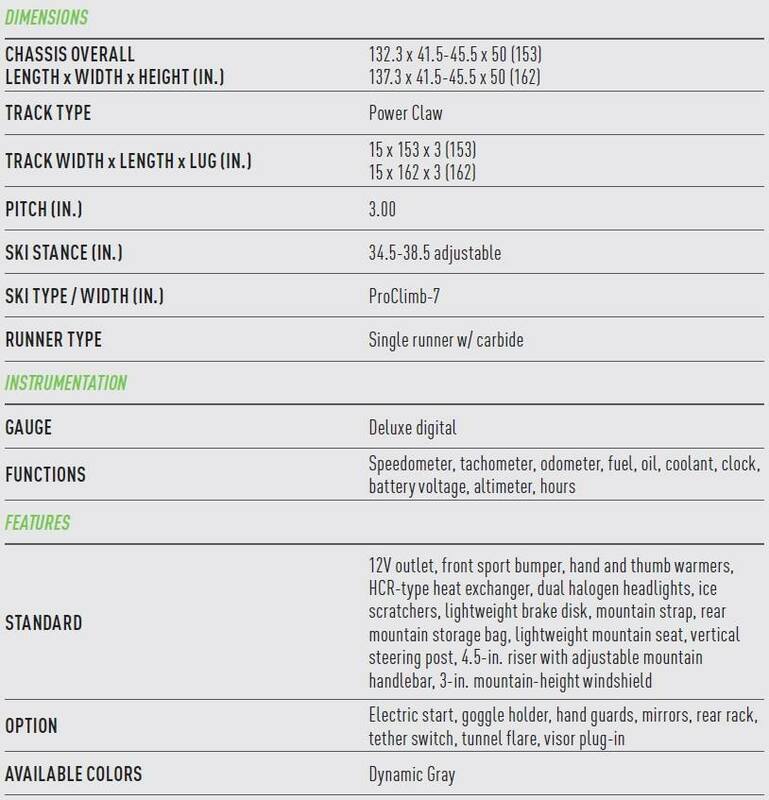 Säätövara suksilla 34.5-38.5"
10 heppaa enempi kuin suzukissa? Samanlaiset muovit aikalailla ku 9000thunderissa.liekkö vain vähä soukemmat.